Regularly famed for its excellent skiing in the winter, the spring, summer and autumn months still remain a well kept secret from the hordes. It will be of no surprise once you have experienced the surrounding area that it is a Unesco World Heritage site totalling 40,447 hectares with 175 lakes of crystal clear mountain water. The area is rich with animal and plant life with 1100 species of flora, 102 types of birds including eagles and falcons and 42 species of mammals such as bears, deer’s and wild horses which you will have many opportunities to see. Many of these naturists’ sights are unique to the area. The medieval old town of Bansko dates back to the 10th Century with meandering cobblestone streets, houses-castles with high gateways and long eaves made of black wig are unique to the area preserving the historic atmosphere of this ancient Bulgarian town. 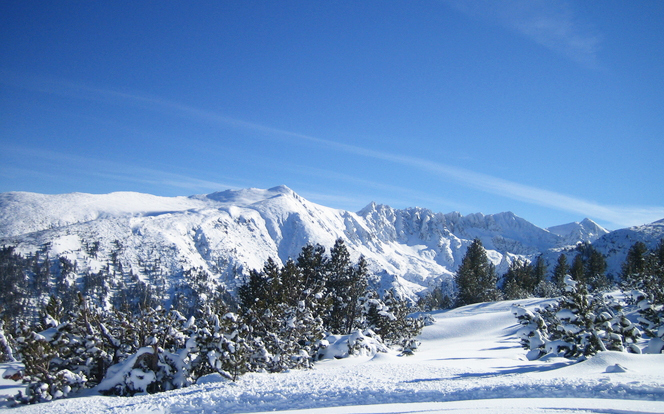 In addition Bansko is famed for some of the cleanest natural water in Europe. Close situated to Bansko is the famed Banya which is situated only 3 km away between the three big mountains: Pirin, Rila and Rhodope. With its well-developed network of mountain paths and marked walkways, Bansko is a tremendous play ground for your trekking, mountain biking, rock climbing, white water rafting, horse riding and caving and of course Skiing and snow boarding. The air is crystal-clear and fragrant with the smell of pines and the sound of sparkling river water. Peaceful, natural and revitalizing. The area is famous for its mineral hot springs with high therapeutic qualities. The healing effects of the thermal springs in these mountains have been famous since antiquity. There are more than 70 hot mineral water springs in Banya with average temperature of 58°C. Which feel fantastic after a magnificent days exercise in the mountains. The accommodation is suitable for families, couples and groups of friends. 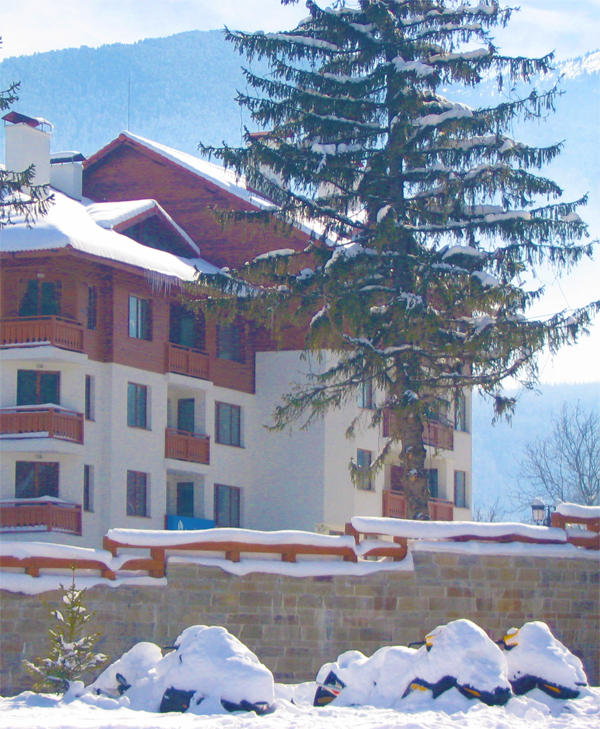 A wide variety of activities are available close to Bansko including tennis, hiking, cycling, water parks, golf and great nightlife. 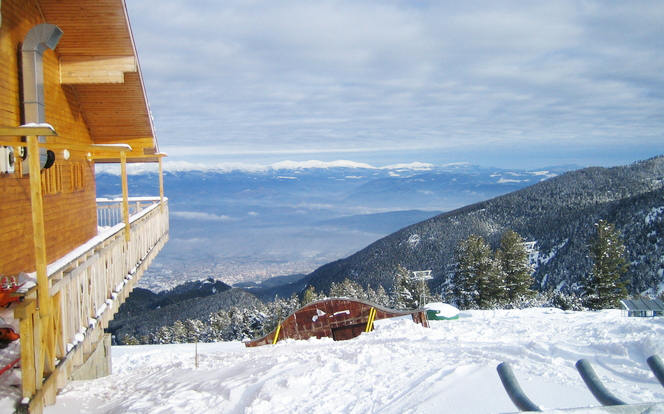 Bansko is mentioned in The Guardian experts’ and readers’ tips “10 of the best places to go skiing” list. Please click here to view the article. Bansko Sports are proud to support the Motor Sport for MS charity – you can find more information about this worthy cause at www.motorsportforms.co.uk.